Milk and pineapple?! That was my first reaction when I saw the ingredients on the kitchen counter. Why not use water and pineapple? My wife, who was cooking this, said: because milk and pineapple are the essential components of this recipe. I've only seen milk in soup recipes but this intrigued me. Surprisingly, the dish was yummy. I liked the creamy sauce which I poured on my rice, and the sweet-sour pineapple taste. 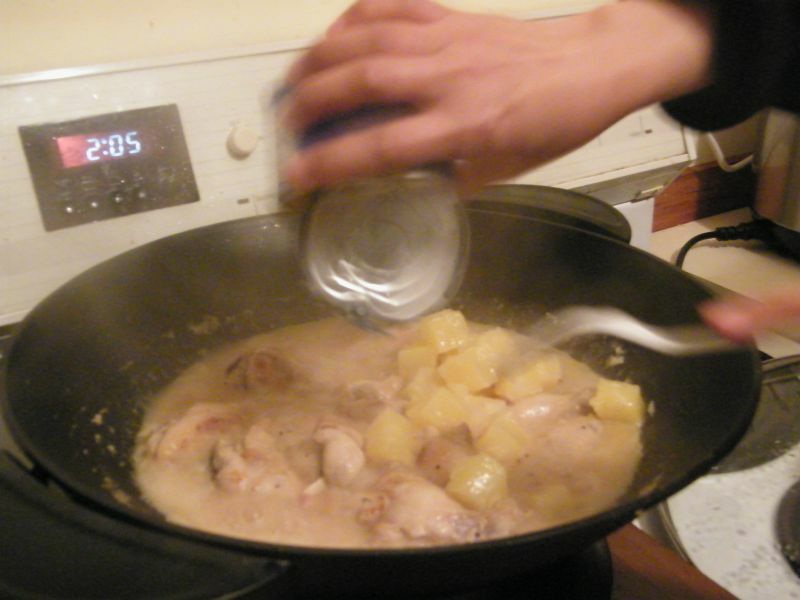 2 small cans pineapple chunks (or 1 medium can). Marinate the chicken pieces in the pineapple syrup from the can for half an hour. Add cooking oil in a frying pan over medium heat and half-cook the carrots and potatoes. Set aside. Add cooking oil once more and saute onion, tomato and garlic. Add the chicken, setting aside the syrup. 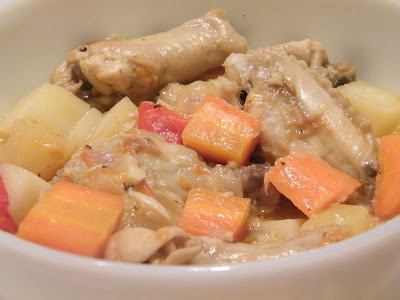 When the chicken is golden brown, add the syrup, milk, carrots and potatoes and simmer for about 10 minutes, carefully mixing occasionally. 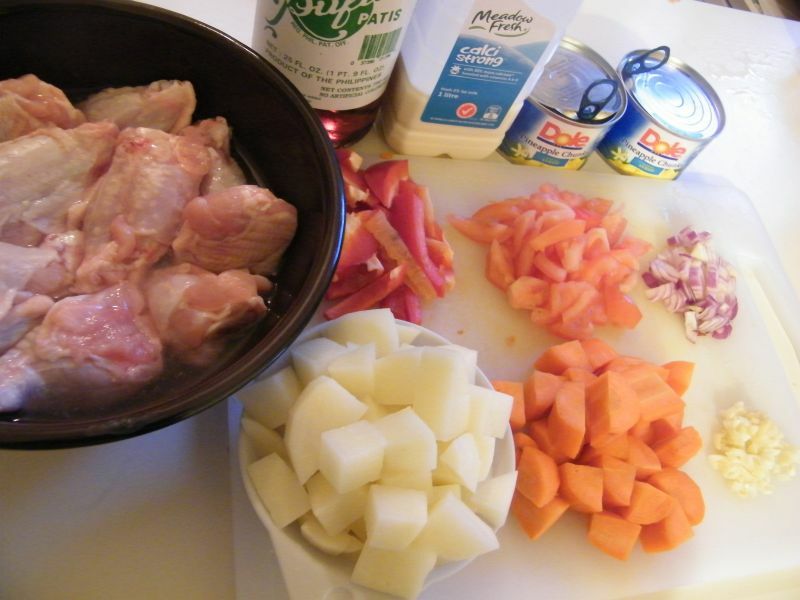 The potatoes would have been cooked already at this time, and the sauce thickened a bit. Add the pineapple chunks, patis and pepper and continue simmering for a couple more minutes. Add the capsicum. Adjust taste with patis if needed.